Cala & Tacos Cala offer catering on a limited basis. Please inquire through events@calarestaurant.com. CALA is an upscale Mexican eatery with a delightfully inventive menu that leans heavily towards seafood. 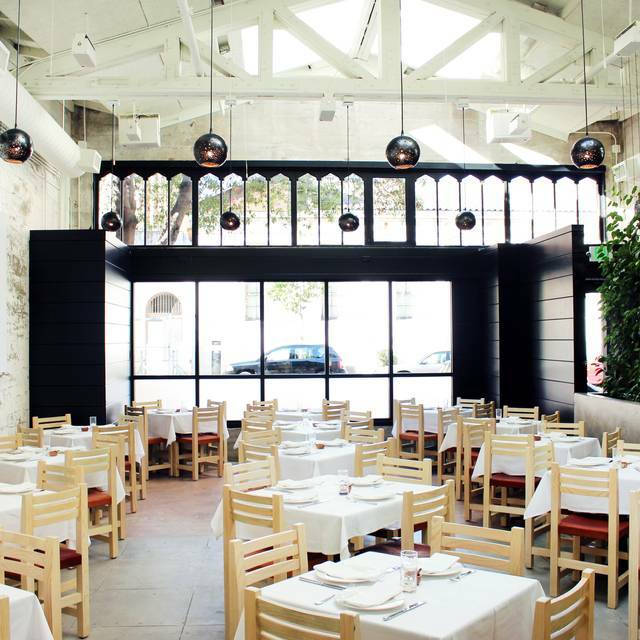 Recent standout dishes at CALA include Dungeness crab tostadas and local bay shrimp tacos. The plating is always exquisite and the atmosphere is energetic. Unwind in the evening with sangria, mezcal margarita or other cocktails. Vegetarians will love the sopes playeros with the midnight black beans. 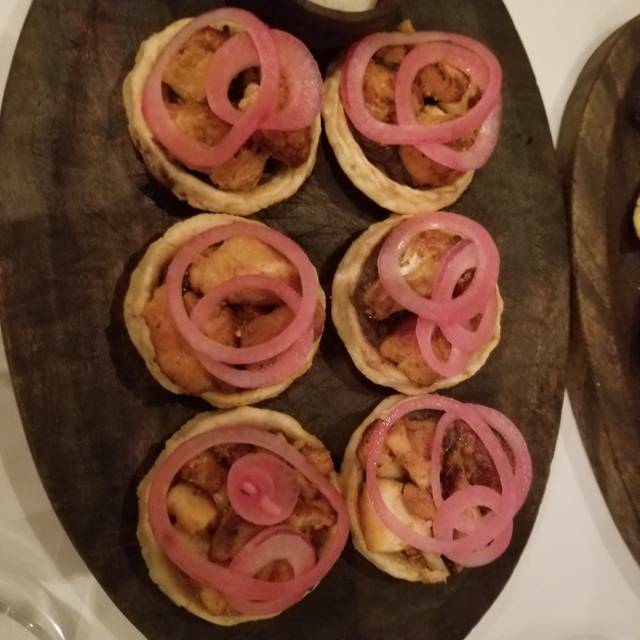 Desserts like coconut flan or chocolate ice cream with palanqueta have finished meals off on just the right note. Reservations are recommended, though walk-ins are quite welcome. If you are looking for a quick bite during lunch, Tacos CALA uses the restaurant's Hickory Street back alley entrance to serve affordable Mexico City-style tacos with rice and beans Monday - Friday, 11am - 2pm. Food comes up short in variety and seasoning. Service was totally absent. I don’t typically write reviews but Cala warranted one. It was a lovely dining experience. The food is outstanding and innovative and the ambiance is lovely. The service felt a little rushed and felt as if they wanted to turn the table. This could be improved upon. I have eaten at Cala several times. The food is uniformly excellent, but that's not the best part. Best is the unusual, sometimes daring food combination. Delights I have seen nowhere else. Food was too heavy and mostly surprisingly bland, with some exceptions. Have had fantastic experiences here before but less so this time. It is a lovely space. When we arrived, the entire restaurant was hazy with smoke. The front desk was surly and could not crack a smile. They did not greet us for a few moments, even though no one was ahead of us. The space is gorgeous and the food we received was mostly good. Some of what we ordered was not delivered and we didn't learn that they "could not" make the entree until we were waiting for the entree. That would've been fine had we not been waiting and had a chance to change the order. My impression was that the server forgot the order and the kitchen could not make it because of a problem in the kitchen... maybe, I am totally extrapolating. Very confusing. The service was friendly from our server and her helpers. I didn't like my drink, but she didn't return it. So, my husband drank it. It was his birthday dinner and we went to Cala because it was recommended. I would not return. I worked in the service industry for 14 years and understand food and dining service. They missed too many marks. If you feel comfortable spending nearly $30 on four stalks of asparagus, this is the place for you. Everything at Cala is delicious. They have a variety of vegetarian and pescatarian options. I highly the recommend the lingcod sopes. Beautiful music, bright ambiance, good service, and very good food. But there are definitely places in SF I would recommend before this. Sommelier did fantastic job prng pear dart with Rose sparkling wine. Superb call. Cala remains one of our favorite places to go. We love sitting at the bar and staff was very accommodating to move us from the assigned table due to the fan blowing on us. The charred sweet potato with bone marrow is amazing! We always enjoy the fun cocktails! we have been waiting to try Cala and were happy we were able to get a last minute reservation. the mezcal marg and other cocktails were excellent. 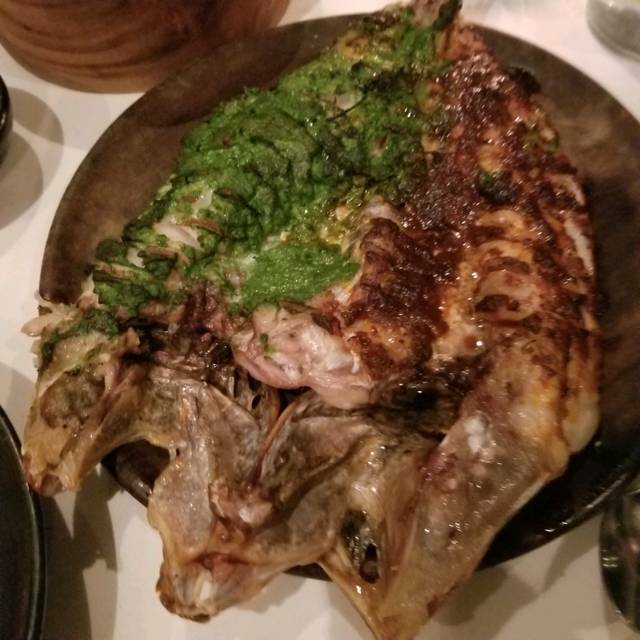 the Rockfish was amazing too! The mains are good but dessert was very underwhelming. The coconut flan was like cutting into butter, overly rich and one dimensional. The strawberry donut wasn't very exciting or worth it. 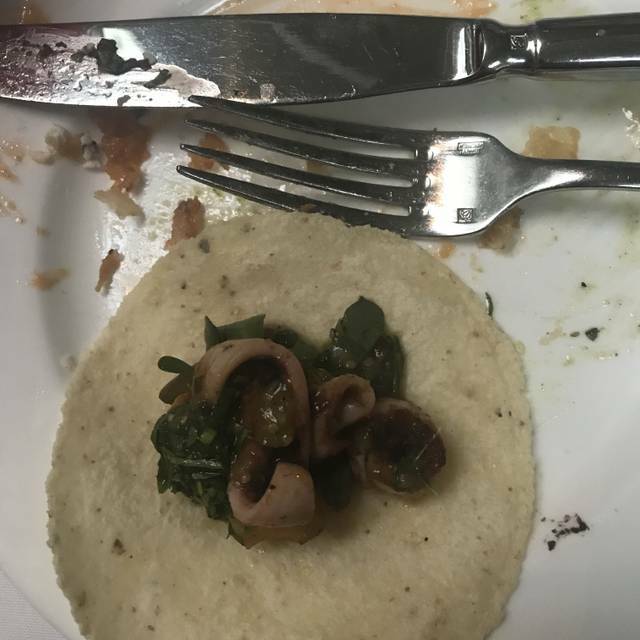 Trout sopes were a little bland. The baked sweet potato was the star of the evening - absolutely worth the wait. My Husband and I have had much better, tastier Mexican food elsewhere. Our bill was $150.00 for some tacos, a fish dish and 2 drinks. The talk is that the restaurant is too expensive. I agree. The server gave excellent recommendations, food was outstanding, and ambiance was perfect. Made for a very enjoyable evening. Would go back often! The food at Cala is very inventive and interesting. 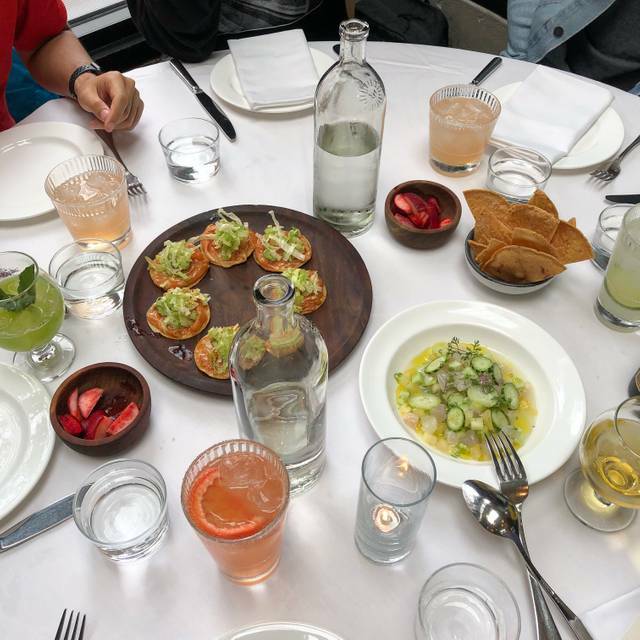 We had several of the tostada small plates (trout and avocado), two fish dishes (sea bass and opah) and the giant charred sweet potato with bone marrow. All were delicious. The staff was solicitous of our performance time and we were able to eat with time to spare. It would not be a good place, however, for people who don't like unusual food and a lively restaurant. It was relatively hard to hear dinner companions. It is also more expensive than many of the nearby pre-performance restaurants, so our guests were somewhat taken by surprise at the bill. Food was delicious. However four of us were at a small table and with all the separate sauces, tortillas, it was very crowded...and some were messy. Wish new plates were offered instead of having to ask....and new silverware would have been nice with the plates. A great way to celebrate a birthday. 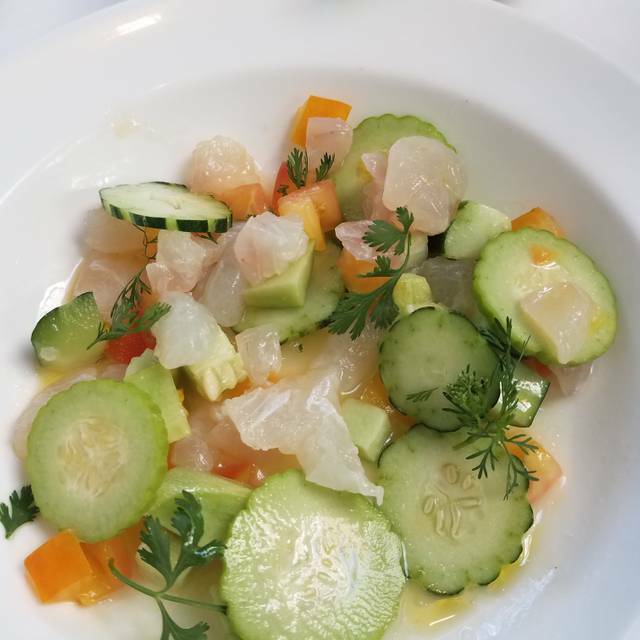 I had a delightful and delicious dinner last weekend at Cala. The service was very personal. Creative and authentic cuisine, bustling atmosphere, great wines. Pre-theater dinner date. The food was delicious and the service was even better. Also love the ambiance. We’ll be back! We loved the vibrant ambiance nd architectural design of the "industrial loft type" space! The entire experience was terrific - food, service and cocktails! The waitstaff were perfect with suggestions and their level of service! Favorites included the poblano pork tamale, ceviche, and quesadillas! Stellar and flavorful. Cocktails were delicious and innovative. It is a tad pricey but everyone should know that when they make reservations. It could be a tad too noisy for some patrons, too. Overall it was a great dinner. The food had very good flavor, but a lot of the food was fried which made the food feel heavy. Excellent cuisine and service. Pricy and expensive for family style shared plates. 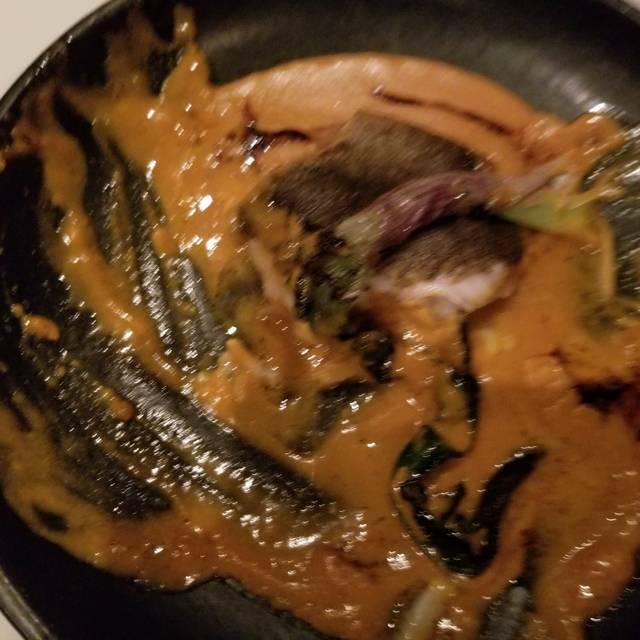 The entrees should not be shared plates as our serving of bass was perfect for one person not two. My boyfriend and I decided to go here on the whim, and we were not disappointed. It was such a unique take on Spanish style food. Bit pricey per plate but for the experience it was well worth it! Highly recommend the tostadas and grilled oysters. 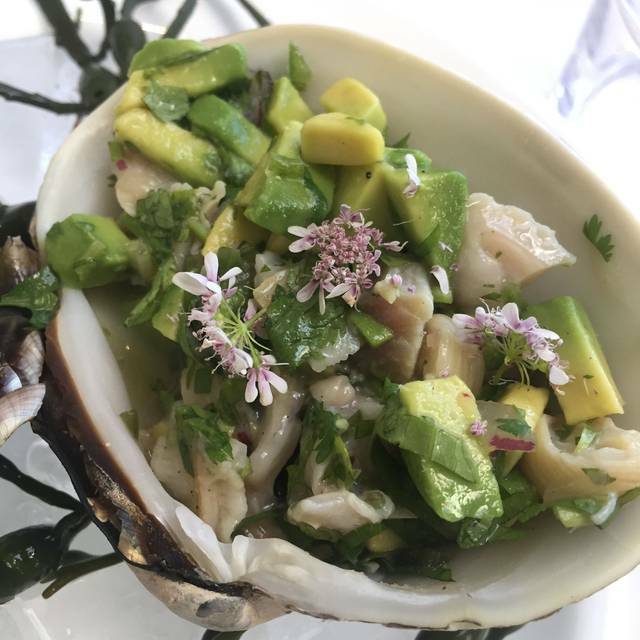 Favorite restaurant in San Francisco - incredibly flavorful, authentic, traditional Mexican dishes with an emphasis on seafood. Our 3rd visit! Everything is special, interesting and delicious! Already planning a return visit. This is a wonderful restaurant. Beautiful space, very consistently delicious food and great cocktails. I normally would say the service is one of its high marks as well; we've had many positive experiences and interactions. However this last visit the service was definitely off. The staff was awkward and there were more than a few mistakes (wrong drinks, food went to the wrong table, charged for something we didn't order. Either the training has slipped, which would be a shame, or we just experienced an off night. Hoping it was the latter! Good things and ok things about this restaurant. The good; interesting menu with good fish options, veggie options, especially the avocado tostada, yummy. 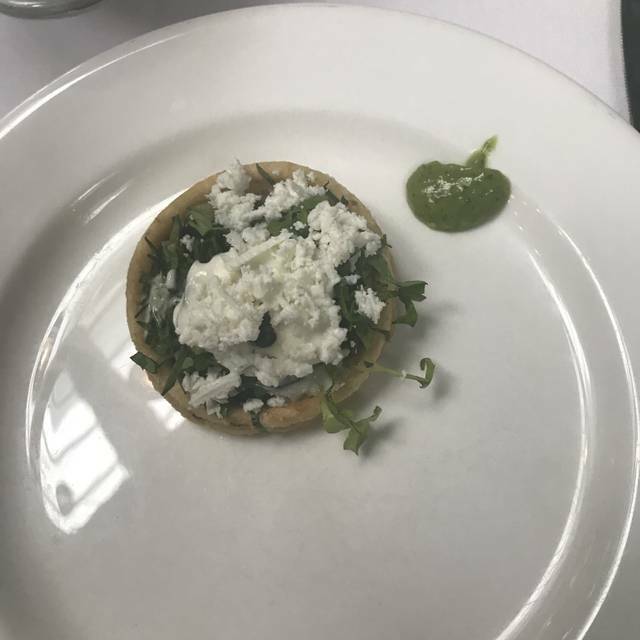 I also liked the vegetarian sope, and the Paloma cocktail, and the fish for two. bad: don't let yourself be seated next to the wait station. way too loud and disruptive. The food, service and ambiance were all wonderful. The wine list (by the glass) was disappointing. They let us taste 4 options which was very generous but we couldn’t find one we liked and switched to beer. One of my favorite restaurants in the city where we live. Absolutely delicious food, presentation, and friendly wait staff. We were served all 5 dishes within 35 min. It was meant to be an evening out for us, but we felt completely rushed and the food felt manufactured. Cala is always a favorite of ours. This time, as usual, the food was totally outstanding! We had the rockfish with tortillas & black beans--we've had it before and this time it was again excellent and fun to eat! The mezcal margarita, trout tostadas & flan were great!! The only reason this isn't a 5-star rating is that the server delivered a check with 3 expensive items that we didn't order--he fixed the error right away, but it did detract somewhat from an otherwise excellent experience. I can hardly wait to return to Cala! The oysters with epazote were delicious, so was the sea bass in pipian, but I had the MOST OVERPRICED sweet potato (camote) of my life there. The bill forces the 20% service fee rather than the more common SF 15%. The restaurant reminded me of dining in Mexico City, especially with the impeccable service and good food, but really, $19 sweet potato? I feel it is overpriced by San Francisco standards. Bring down the pricing a bit and I may even return for a full meal! Otherwise, I'd be tempted to go in only for cocktails and a small bite before a show. Excellent food, great Margaritas, helpful knowledgeable staff. The best! Super friendly staff and delicious food. We'll certainly be back! Amazing food and ambiance. I will definitely go back!